I absolutely love this pomegranate molasses. It has a tart sweet taste...I could eat the whole bottle. You can use it in cocktails and sauces. I even add it to my black beans. While I was out shopping, can't remember where I saw it, but they had a jar of pomegranate chipotle BBQ and dipping sauce. The combination sounded great and I remembered I had this bottle of pomegranate molasses at home...so I thought I would see what I could come up with to make it at home. What better way to try it than on wing!! You can heat everything up in a sauce pan until bubbly and well blended. If you want to make it like a sauce and some water, citrus juice or broth and cook it for awhile until it gets the consistency that you like. I prepared the chicken wings, cut the tip and split the remainder at the joint, salt and pepper and sprayed with a bit of oil. Spread out on a stoneware bar pan lined with parchment paper (for easier clean up), bake at 400 F for 50-60 minutes. Turn them halfway through the baking time and the last 15 minutes brush on the sauce. If you like it more caramelized brush it on sooner, but be careful the sauce doesn't burn. I didn't heat the sauce just mixed it up and brushed it on. Usually when I make wings I'll bake them and then toss with the buffalo sauce, cajun seasoning or teriyaki sauce in a big bowl when the come out of the oven or fryer (if you happen to fry your wings). Great on the grill too, but I didn't have time to get the charcoal going. I liked how the glaze became nice and caramelized when baked with the wings. I didn't make it too spicy hot for my husband, but you can always adjust the heat. It wasn't too sweet for me, but again you can make it sweeter if you like . I was lucky to get a couple of photos, everyone was hungry and I got started late. So they aren't the best all laid out and pretty, but at least I remembered to take one! Talk about the lazy hazy crazy days of summer! That's a big yawn from our neighbor's cat that thinks he lives at our house. Yum! These sound so good! What a terrific flavor combination. I'll have to look for the pomegranate molasses the next time I'm at the grocery. Thanks for sharing. I like how you are always trying something new. Those wings look great. I love chipotle, and pom, so if I ever find all of the ingredients, I will definitely make this recipe. What a great combination of flavours. I've never tried pomegranate molasses, but I need to one of these days, I've seen so many great recipes that use it, including this one. Love that pic of the cat too - perfect shot! The wings look totally delectable. Great shot of the cat! I've done pomegranate molasses with chipotle before...and yeah it's pretty amazing. Fabulous wing sauce! i'm curious about the taste of the combination of molasses and the chipotle sauce but they sure looks very tempting to me!! I am loving the sweet hot of this! What a great sauce looks awesome! Wow, such incredibly yummy chicken wings...never heard about pomegranete mollasses, or even seen in in our supermarket. Wonder if you could infuse the juice of the pomegranate with the mollasses, by cooking down the juice, and mixing the two ingredients. ha ha ha, he definitely looks comfortable at your house ;) I love the sound of these wings...I can just imagine the sticky goodness I'd be able to lick off my fingers after eating a big plate. Deeelish! laxsupermom - I was able to find it in a Middle eastern market. Diane - It's like cooked down pom juice into a syrup. Gloria - thanks so much! Michelle - You could use pomegranate juice if you can't find a Middle Eastern store you might have to cook it like you would a BBQ sauce. Brenda - thank you, you should pick some up, it's so good. Rebecca - thanks you always have good info. Joanne - Thanks, it just seems to go together so well. lena - it's not like regular molasses, more like a pomegranate syrup. Although some recipes make it like a regular BBQ sauce and do add molasses as well as the pom molasses, but I wanted more of the pom flavor to come through. Belinda - thanks, it does have that sweet/hot thing going. Elizabeth - I haven't seen it in our regular supermarket, just a middle eastern market. It is not as thick as regular molasses is. So if you make your own just cook down some pom juice, I'm sure there are recipes out there to make your own. Thanks for the award! Megan - Yes, that would be good...mix the pom molasses with balsamic, what a great dressing! Look so delicious! I have never tried pomegranate molasses before or even seen it, maybe there was no reason to notice them before! Will keep a lookout for this. Thanks for sharing. I have not experimented with these flavors yet, but I do like how golden the wings look...must be really flavorful! I'm curious to know the taste of these gorgeous chicken wings. Have never tried cooking with these flavours. Yum..I agree with the above comments..looks so mouth watering! Hope you're having your week ahead. Those chicken wings look so delicious, I definitely want to look for this pomegranate molasses at the Indian shop. Thats an awesome recipe..looks oh so yumm!!! You just brought chicken wings up a few notches Lyndsey; these look and sound fantastic. I have never seen pomgranete molasses before but now that I know it exist, I will be more observant. These wings look so caramelized, I have no doubt it taste good. I love trying new recipe for chicken wings. I have a bottle of pomegranate molasses needs using and this is one wonderful, delicious excuse. 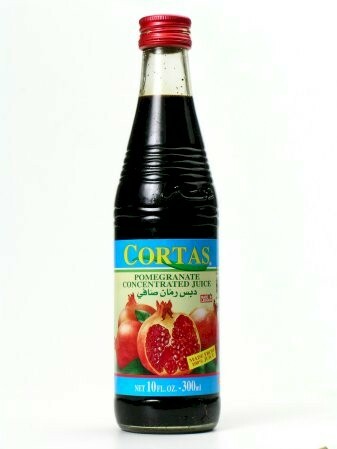 I still haven't tried pomegranate molasses and have seen it on Taste of Beirut also. This wings look so delicious I have to try and find some to make them. I always have little packets of chipotle in adobe in my freezer too.